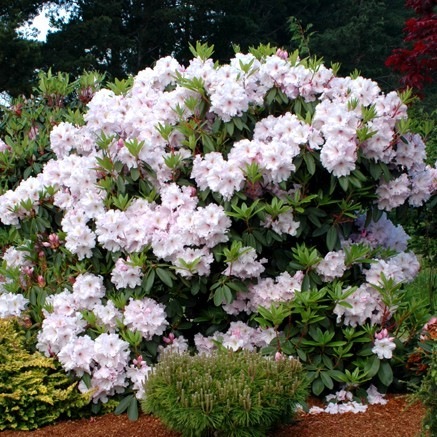 Rhododendrons are tough performers in our Pacific Northwest climate, and have become a standby for landscapers looking for a plant that’s sure to thrive. 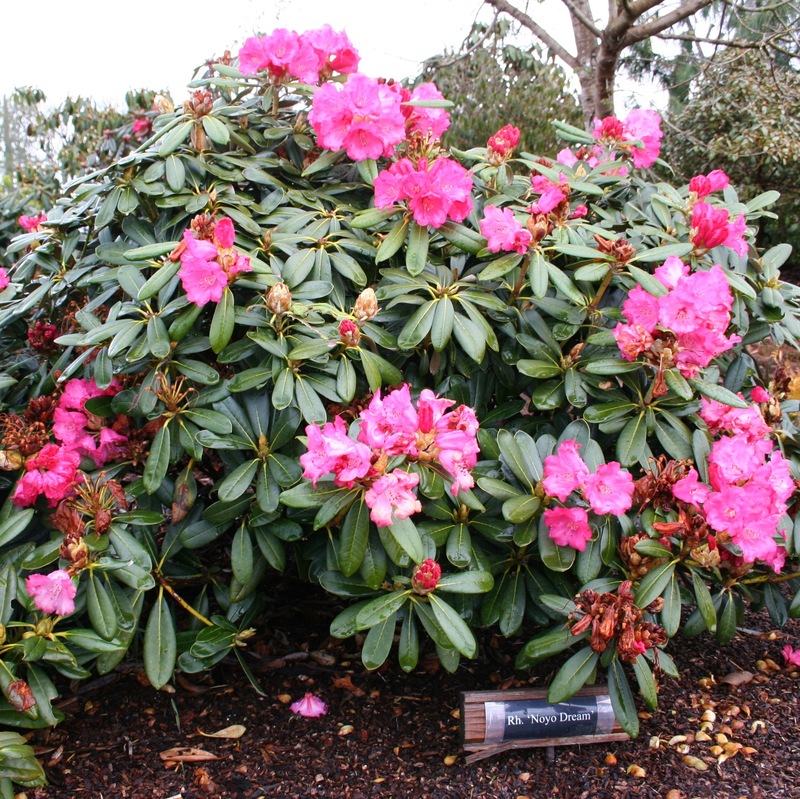 But not all Rhodies are created equal; some are more suited to tough conditions than others, as evidenced by the horrible-looking Rhodies in so many local parking lots. Finding the right variety for the spot you have is key. 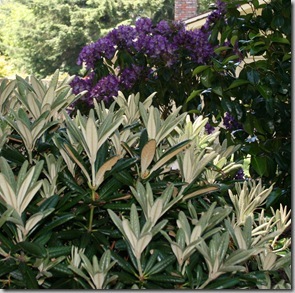 Recently, I asked Don Wallace of Singing Tree Gardens, our local Rhododendron expert, for suggestions of “bulletproof” Rhododendrons that I could use in tough spots where other plants might not thrive – like in windy areas, or in poor soils. 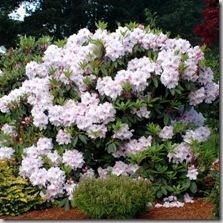 He came up with a great list of tougher-than-usual Rhodies, which I have found so useful I wanted to share it with you here. 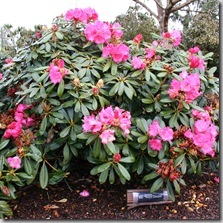 I’ve also found Yaku hybrid Rhododendrons exceptionally good at tolerating windy sites, even salty wind. 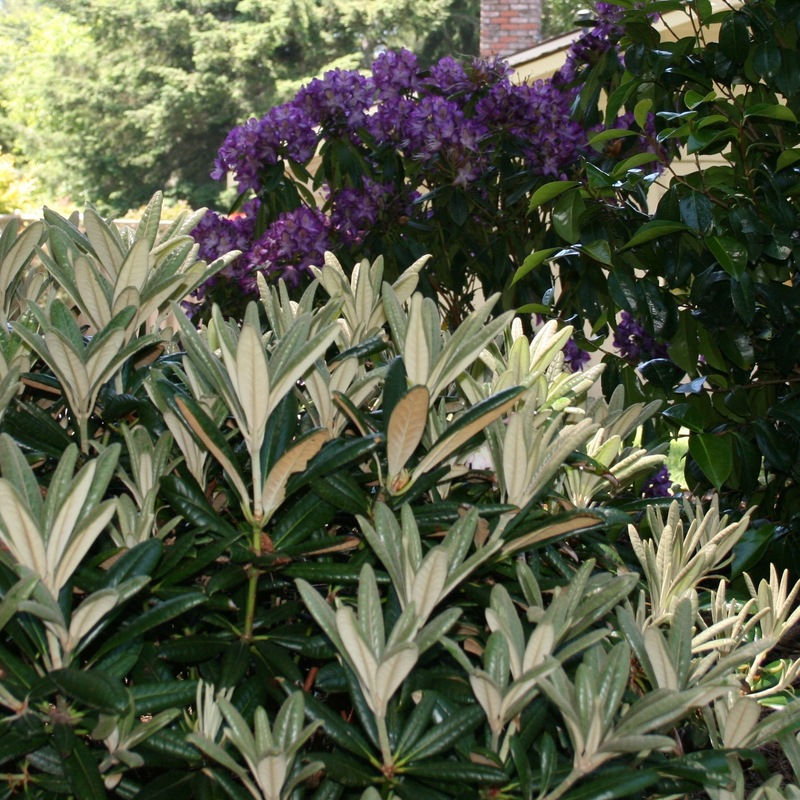 I think that’s because the white idumentum (hairy coating) that covers the new growth helps to protect the Rhody until it hardens off. 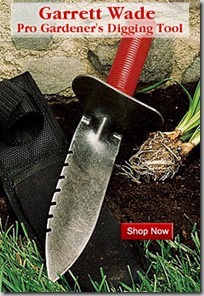 Looking for other plants for tough conditions? 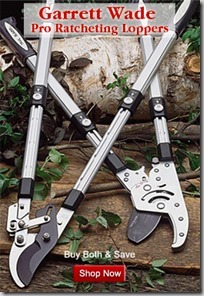 Check out my lists of plants that grow well on the seacoast for other ideas of plants that will take wind and other unfriendly conditions. Wow, cool! 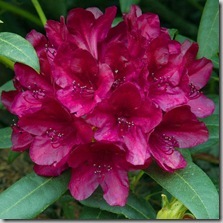 I didn’t realize you had rhodies in CA. We’re right ont he cusp here. They do grow, but not as brilliantly as elsewhere. My climate up here in far Northern Cali is actually brilliant for Rhodies, and we’re kind of known for them, even though only a few varieties are actually native here. I love the gorgeous varieties, but it’s depressing to see so many horrible, icky-looking ones in parking lots and such. I live in Missouri. My parents have some in town and I transplanted some last year to my house in the country. This last winter was tough on them -18 below etc. they are brown on top and have green toward bottom. Will they come out of it or do I trim them have never had them before and not sure how to take care of.